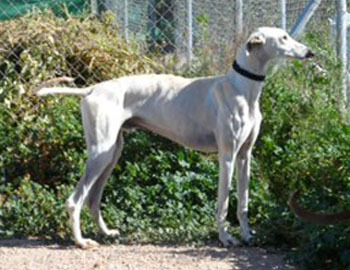 Copito is an approximately 1½-year-old, light fawn, male galgo. 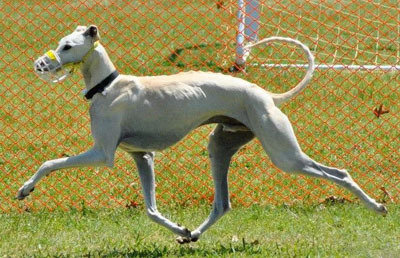 He came to GALT from Spain via Galgos del Sol. Many thanks to GALT volunteer, Kyle Jones, for being his travel companion. His light color clearly led to his name, which came from "copito de nieve", Spanish for snowflake. Copito is living peacefully with cats in his foster home. 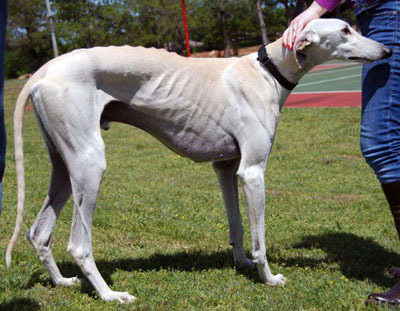 He needs a home without small children, and would do best with an experienced greyhound owner.